Where Are The Best Paying Quarter Slots? At 97.7% average payback, the BOULDER STRIP has the BEST paying quarter slots. Las Vegas Strip has an average of 91.5% payback. Las Vegas Downtown has an average of 95.2% payback. 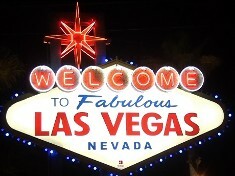 Las Vegas Local’s Casinos have an average of 95.5% payback. Lake Tahoe has an average of 90.9% payback. RENO has an average of 92.4% payback. At 94.8% average payback, the SHOWBOAT has the BEST paying quarter slots. At 94.9% average payback, CRIPPLE CREEK has the BEST paying quarter slots. At 92.5% average payback, MOHEGAN SUN has the BEST paying quarter slots. At 95.4% average payback, JUMER’S has the BEST paying quarter slots. At 95.1% average payback, both AMERISTAR and BELTERRA have the BEST paying quarter slots. At 94.4% average payback, AMERISTAR II has the BEST paying quarter slots. At 96.9% average payback, BATON ROUGE has the BEST paying quarter slots. At 95.1% average payback, the COASTAL REGION has the BEST paying quarter slots. At 95.5% average payback, St. JO FRONTIER has the BEST paying quarter slots.